These peach-themed snacks were a gift from a friend who bought it specially from Japan. 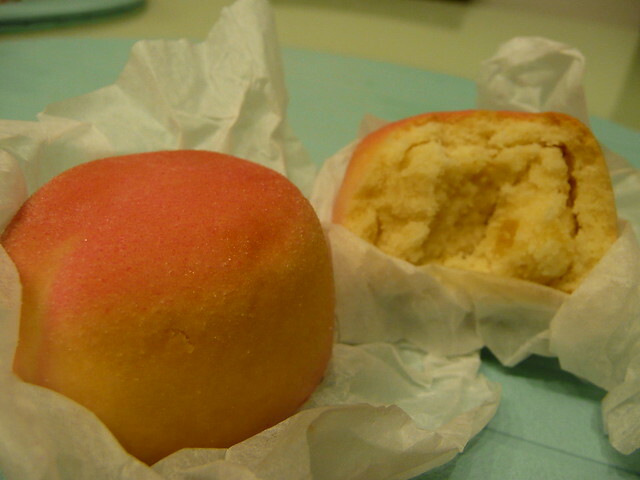 Aside from it's peachy colours, neither the appearance or the taste resembles that of the fruit. And being unable to read Japanese characters, it doesn't help that the Chinese character for peach (桃) was printed several times on the snack box.